Everything around the stove might get pretty rough after cooking a lot, don’t I know it. All the surfaces of my stove and range hood are covered in a greasy layer of accumulated oil splatters. But not to worry! 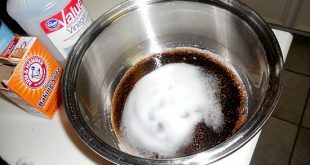 It won’t be a huge hassle because I have found the best method to clean oil splatters in your kitchen. Keep reading and see what I’ve got for you. 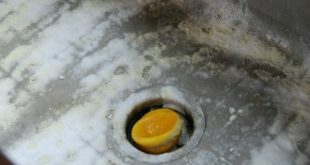 Thus, whether it’s due to several days of intensive cooking, or if you just haven’t cleaned your kitchen for a while, you might have some oil-splattered areas in your kitchen. But, cleaning that grimy layer is much easier than you’d think! And all you need to clean it up is a bit more oil. Doesn’t it make sense? Well, trust me, it totally works! 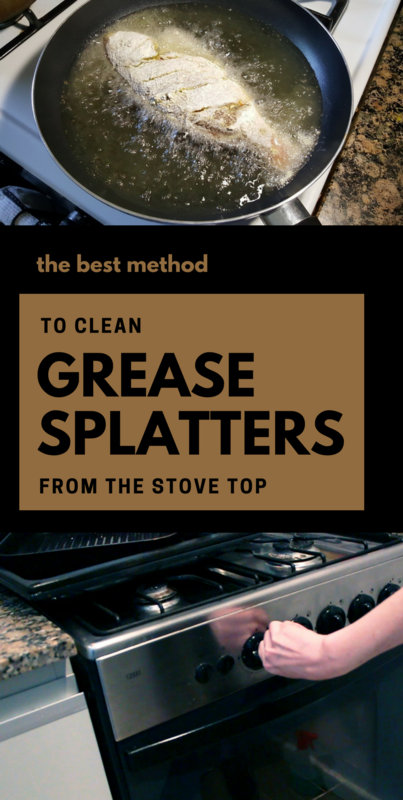 With a little chemistry trick, you will no longer dread cleaning up those oily splatters from your kitchen! Especially since it is an easy, gentle, and chemical-free process. Why is mineral oil a good choice? Well, this oil is perfect because it doesn’t go rancid like standard cooking oils do. 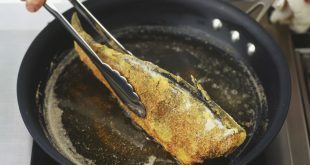 However, if you cannot find mineral oil, you could also use a standard cooking oil for this task, but it could go rancid over time. But just use your best judgment and decide what’s best according to your gravity of the situation! 1. Drop around 3-4 drops of mineral oil onto a clean cloth or paper towel. 2. Carefully, start wiping the oily mess, and watch the gunk slide right off! 3. 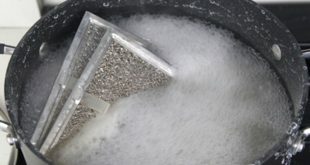 When you’re done with the cleaning, use another clean cloth or paper towel, and buff the surface lightly so that only a very thin layer of the cleaning oil remains. That’s it! Doing that extra layer with oil, it will make your future mess much easier to clean, and it leaves kitchen appliances looking nice and shiny! 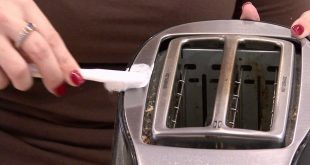 I hope this handy tip helped you make your kitchen cleaning a little more manageable!